For an agent, August can sometimes be tough. The mass exodus of Londoners to the warmer climes of glamourous holiday destinations means the market can be a little quieter than usual. I feel quite the opposite: what’s not to love about London in the summer? The sun is out, everyone’s in a good mood, the football season is beginning, and it means that I can spend more quality time with individual buyers than at more hectic times of the year. I had a busy week of viewings last week, and with the quality of the West End stock so high, I am expecting a lot of offers to come through. Lunchtime soon arrives, and with it, the first offer of the week - a charming one bedroom apartment in Seven Dials village. It’s in need of a lick of paint, but it’s a fantastic pied-a-terre. The vendor agrees to the offer and I give the buyer the good news. I’m meeting a Director of a large multinational corporation today. He is looking for a base close to work, in the Midtown area, so I set up a tour to show him some of our top schemes. It’s a great part of town and an area which has become incredibly popular with city workers, as it’s only a short stroll into the office. He also informs me that he’s a big gadget buff, so I make sure he notices the slick Gaggenau kitchen appliances, state of the art AV system and home cinema of a penthouse apartment that he takes particular fancy to – I wonder why! It’s a great new build scheme on the City fringes, and he even arranges for his wife to come and take a look at the end of the week. There is a good buzz in the office today as we have been instructed on an incredible development on Great Marlborough Street, near the famous Liberty store, just off Regent Street. It comprises four, huge lateral apartments and is the kind of space everyone has been looking for. The team arranges a preview, and we are very impressed with what’s on offer. As it’s currently off-market, there are no details to send out so we rush back to the office as quickly as possible so we can personally call all our top buyers that we think might be interested. I book a couple of very encouraging appointments for the start of the following week and reward myself with a delicious pie for lunch from one of the great Covent Garden delis. In order to sell an area well, you have to sample all their goods surely?! Today it’s back to the Midtown penthouse for the second viewing with the family. Thankfully for ‘Inspector Gadget’ his wife loves it, and soon they are measuring up for furniture, and I imagine even more high-tech appliances. I get back to the office an hour later with an offer for the apartment. After a small amount of negotiating I have a reservation form in my Inbox to forward to the vendor. In the afternoon, I block out a couple of hours in my diary to deal with the admin on various ongoing sales, and spend time catching up with clients and solicitors. 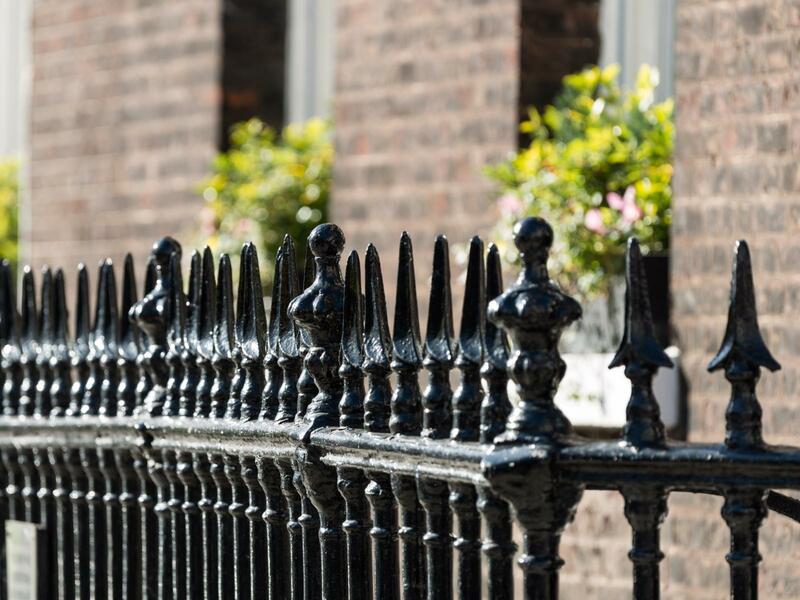 A client of mine exchanges contracts on their sale in Bloomsbury to a lovely lady looking for her first home with her partner, both the vendor and the buyer are delighted, so an afternoon well spent! Friday is typically a very busy day in my diary, and today is no different. I have a viewing scheduled with a family who are looking for a flat for each of their two children. They have chosen Covent Garden due to its proximity to both Kings College and London School of Economics. The whole family is very impressed with two flats located just off the famous Covent Garden Piazza. Now there just remains the dispute over who will have which apartment. Slightly different to my university days where you would be lucky if your flat had hot water and our only disputes were over the remote control! I leave them to it and head to the local tavern with my colleagues to debate the opening day of the Premier League season.